AGM to support CSA’s fight for grade justice? The Midlands TUC are have sponsored the above play about the Cradley Heath chainmakers in Netherton on Thursday 7 March. 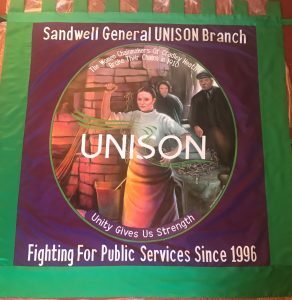 Sandwell General UNISON has sponsored the same nationwide play at Cradley Heath Library on Thursday 18 April, a building that was there in 1910, when the chainmakers went on strike and marched around the Town. On display will be our new branch banner. 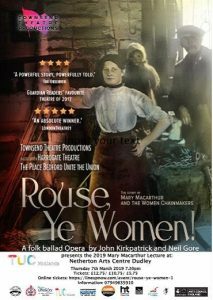 Come along and celebrate a bit of working class history from Sandwell, when the women chainmakers’ doubled their wages after a 10 week long battle. Visit www.townsendproductions.org.uk for more information.